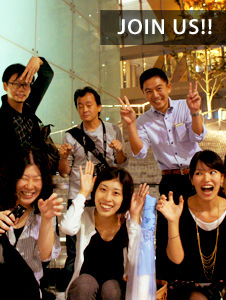 A city for the young and young at heart, Shibuya. The area is composed of a mess of streets all with a different atmosphere, including a few main streets connected by narrower alleyways. 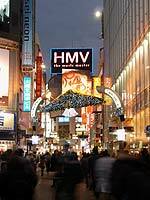 Each street has developed its own personality and role, including lighting conditions to create the Shibuya night. From the scramble intersection in front of Shibuya Station, 3 distinctive roads, Dogenzaka, Center Gai, and Koen Dori radiate. 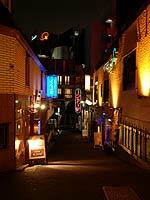 After dusk, the lights come on and the personality of each street is even more clearly defined. 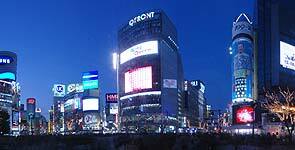 As the title implies, Center Gai is the center of Shibuya geographically and caters to the young as the center for shopping and entertainment. This street is full of light. Each shop seems to be competing for the brightest facade with infinite amounts of luminous signage and advertising, creating a 3-dimensional playground. Dogenzaka is a festive street with a steady flow of pedestrians, but turn down one of the narrow side streets and the atmosphere changes immensely. The facades of many love hotels packed into the area are saturated with color creating a seedy blend of light and young couples prowling the Maruyama-cho area.